Florida monthly magazine recently ran their annual best of Florida survey. Vero Beach hotels are one of the places you will be staying if you're interested in checking out some of the Best of Florida winners. Indian River County, and Vero Beach in particular, had quite a few first place positions in the survey along with several seconds and a third place also. First and foremost Vero Beach took first place for Friendliest Small Town. That's a great thing to be rated first place in. One needs to realize that this survey covers the entire state and that includes some very popular well-funded regions within the state. For Vero Beach to come in as Friendliest Small Town is a grand accomplishment. 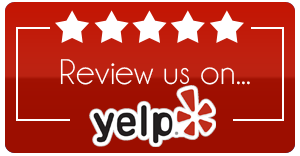 Some of the categories that Vero Beach won in besides that are: Best High School Athletics Program, Best Cardiology Center, Best Nature Center, Best Fishing Spot, Best Place to Surf, Best Independent Bookstore, Best Dive Shop, and Best Garden. Let's go through each of these. The Best High School Athletics Program was won by Vero Beach High School. They have excelled with their athletics program while also having some of the best academics in the area. The Best Cardiology Center went to the Indian River Medical Center. That's another "Oh Wow" win, considering there are so many high-quality medical centers within the state. 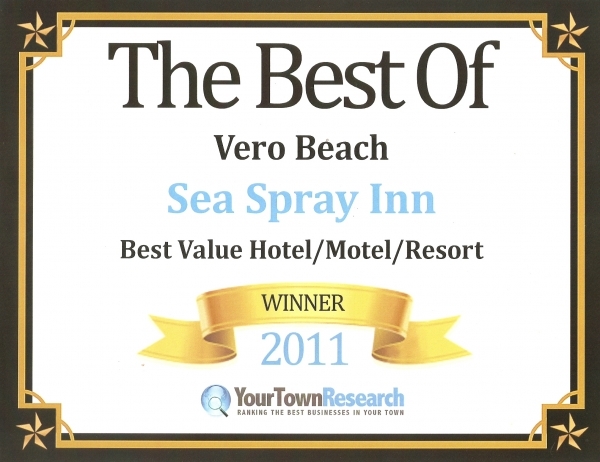 The other categories which Vero Beach won in are a bit more related to our Vero Beach hotel. That is because to enjoy these you will want to stay at a nice Vero Beach Hotel, like the Sea Spray Inn, if you're from out of the area. The Best Fishing Spot goes to the Sebastian Inlet. Best Place to Surf also went to the Sebastian Inlet. The Jetty makes for a nice surf break and migration route for the many fish that use both the lagoons and the ocean. The inlet is about 20 minutes north of here. There is a State Park and parking along the road on the south side of the bridge. Another water related category was Best Dive shop. That category went to Deep Six Watersports, a Vero Beach Dive shop and all-around watersport store. These other categories are of interest to travelers as well as residents. The first one of these is Best Nature Center which went to the Environmental Learning Center. ELC is a great place to learn about the diverse eco-system of the area. Visit them at DiscoverELC.org , it really is worth visiting. The Best Garden went to the McKee Botanical Garden, a restored garden that got its original start in 1929 as a jungle attraction and was re-opened in 2001. The Best Independent Book Store went to Vero Beach Book Center. That about does it for the first place categories won by Vero Beach. The area also came in second place in four categories those are: Best Cultural Festival - place position by Under the Oaks; Best Cinema Café - 2nd was given to Majestic Theatre; Best Weekly Newspaper - "Vero Beach 32963" got second place and the local bike shop Orchid Island Bikes and Kayaks was 2nd in the Best Bike Shop category. We also had a third place for Best Museum and that went to the Vero Beach Museum of Art. In another development Sea Spray Inn was voted one of the top 3 for their category in a recent survey sent to 90,000 local residents. The article was in the local paper on November 1st, 2011 - TCPalm Article . The website will be up soon for The Best of Vero Beach. The site will be built on the URL - www.bestofverobeachfl.com . It should be online sometime this month. The survey was conducted by Your Town Research and is an independent survey free from any marketplace influences or funding.